Let's roll the clock back just 5 months to early May 2013. 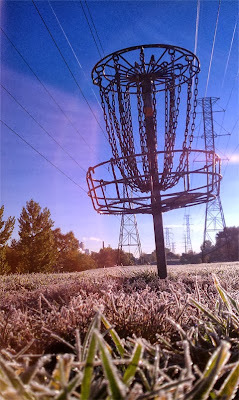 I remember my brother talking about disc golf and that is about it. It wasn't in my life - it wasn't my thing. At some point, I thought - I should try to play again, it would be fun... why not? I played a bit in high school and college (20 years ago). Perhaps 15-20 rounds with friends in Grapevine, TX. It's my brother's thing and he's amazing at disc golf, so I wasn't concerned that a four thousand pound gorilla was about to setup shop on my back. I think the first time I played with my brother, it was a round with his tags buddies and they were kind enough to suffer a complete and total newb. I lost one of my brother's discs in a river and then I lost another guy's disc in the same river. By all accounts, I sucked. I would lean way back and throw like I was trying to hit a baseball out of the park, so the disc would fly up - stop and head straight left. That's assuming I didn't just line drive it into a tree or the ground. There's something about really sucking... being completely futile and just stinking up the joint that made me hungry for more. I could not just be that bad and let it stand. 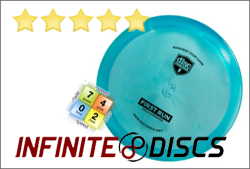 What's really fun about disc golf for me is that I've been able to improve. I have no aspirations of playing tournaments. When my brother asked me if I wanted a tag to play informal competitions - I thought about for a bit and said no. I wanted to prove that I could do this before I add that level of frustration and pressure. I know myself enough to know that I am obsessive about things that I get passionate about. 15 years ago, I got obsessive about rock climbing and spent every free hour planning Yosemite trips, multiple day big wall climbs up El Capitan and long back country climbs. I got crazy about big mountain skiing, ended up going to Alaska and Switzerland to climb mountains and ski back down them. I got obsessive about mountain biking and ended up riding 4-5 days a week for a year and half (still doing that). I know as well as anybody what kind of freaking nutballer I am when I get obsessed. I doubt my brother had any inclination as to what was happening - but he assures me that he's just as obsessed as I am. It took me probably 2-3 weeks of poking the bear, playing rounds with my brother and asking him 5 questions per hole about backhands, forehands, rollers, putting, rules, you name it... before the trickle became a flood. I didn't even want to tell my brother how much I was practicing. Starting in June, I would throw on every lunch break. My mountain bike sat idle as I ran out to play a round after work. Before work I would putt for 15 minutes and then play 9 holes. Everyday. Then, on the way home from work I stop at a school right by my house and throw at the soccer field. 3 times a day: morning, lunch and after work I am doing some form of practice. 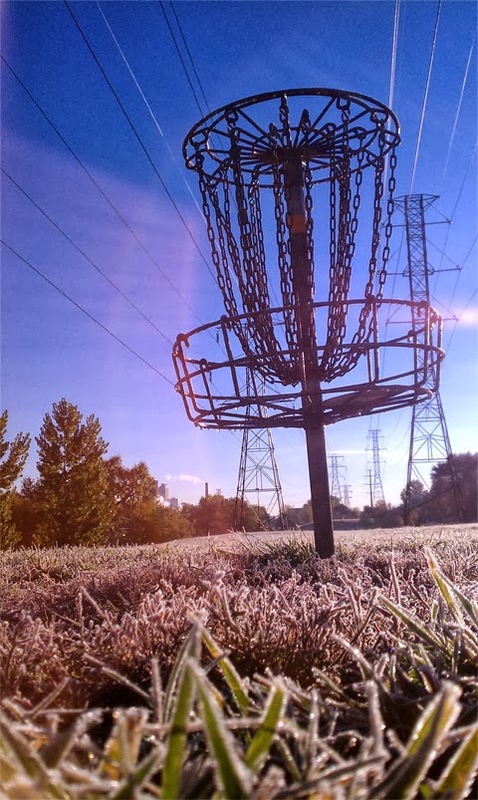 At one point, I googled "how much disc golf can I safely play" and then ignored all the threads about NOT doing exactly what I was doing. Again, for me, this is normal behavior. When I started playing hockey with some work mates, I practiced NON-STOP. For many winters, I had a standing Thursday morning dawn patrol all winter long, whether I had a partner or not. Dawn patrol is when you climb a mountain before dawn so that you can ski a few runs before work. I'd leave the house at 4am for those and show up to work at 10am. I swear to god, I would bring my touring ski boots to work and hike up a mesa in them (on dirt) on my lunch breaks so that my feet would be accustomed to lots of climbing. I'm closing in on 5 months of playing non-stop disc golf. 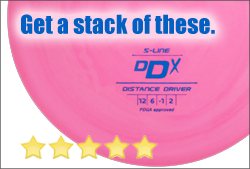 I've probably played about 100 rounds of disc golf. When I can't get a game in, I'm just as happy to be alone in a soccer field working on my shots. I played a game 4 days ago while it was raining, alone, and cold. I'm happy though, and at the core of the enjoyment is this wonderful feeling of blasting a disc and having it do what you want it to (or sometimes not). But what keeps the fire burning is seeing the improvement. I have some idea that this fire will not burn like this forever... but for now the fire is keeping me warm.